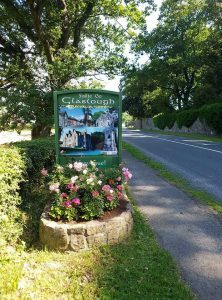 Monaghan County Council wish to congratulate Glaslough on being named Ireland’s Tidiest Village for 2018. In this, the 60th Anniversary year of the Tidy Towns competition, Glaslough finished second overall in the National Tidy Towns Awards, one mark behind winners, Listowel, Co. Kerry. This is a fantastic achievement in a field of a record number of 883 entries from towns and villages throughout the country in the SuperValu National Tidy Towns competition. Everyone is invited out to Glaslough tonight, Monday September 24th, to welcome the committee home to celebrate at 8pm. Glaslough also won the regional award for the highest scoring entry in the Northwest and West and retained their Gold Medal Award for the 6th year in row. Anne Mc Ghee was highly commended in the Community Heroes section. Congratulations to other Monaghan winners; Emyvale who were awarded the Endeavour Award for the most improved town or village in the county, Carrickmacross retained their Gold Medal Award for the 7th year in a row and Monaghan Town retained their Silver Meal Award for the 3rd year in a row.